Bernd Schröder coached Turbine Potsdam for the final time having first taken charge on the new club in 1971 and won two UEFA titles among many honours. The 2014/15 season has barely finished and already the 2015/16 contenders are strengthening: we look at the arrivals at the three German and two French giants. "Everything I have achieved is more than I dreamt of," said Conny Pohlers, the UEFA Women's Champions League's all-time top scorer, following her testimonial. New Olympique Lyonnais coach Gérard Prêcheur has made 19-year-old Norway forward Ada Hegerberg his first big-name signing following the arrival of Meline Gérard. Paris Saint-Germain have added two more Germans in Josephine Henning and Ann-Katrin Berger, and given Jessica Houara, Linda Bresonik and Sabrina Delannoy new deals. Olympique Lyonnais made it eight titles in a row, VfL Wolfsburg and Tyresö FF had happy homecomings from Lisbon, and Arsenal LFC manager Shelley Kerr quit. With the 13th final fast approaching, Steffi Jones, Hanna Ljungberg, Jayne Ludlow, Annike Krahn, Jennifer Zietz, Lotta Schelin and Nadine Kessler remember their victories. VfL Wolfsburg warmed up for Thursday's final with a domestic defeat of the side they beat in the semis while Marta earned Tyresö FF a draw in their last game before travelling to Lisbon. VfL Wolfsburg and Tyresö FF kept up their form in their penultimate games before the final while ACF Brescia clinched a first title and the English and French cup semis were played. VfL Wolfsburg and Tyresö FF began the build-up to the 22 May final in Lisbon by both returning to winning ways in their leagues while Serie A has gone to the wire. VfL Wolfsburg's Alexandra Popp paid tribute to her team's resolve after the holders clinched a place in the UEFA Women's Champions League final, while FFC Turbine Potsdam's Julia Simic said her side were "punished" for their "mistakes". VfL Wolfsburg coach Ralf Kellermann underlined his side's "absolute determination to reach another final" after the holders sealed their place in next month's Lisbon showpiece. VfL Wolfsburg 4-2 1. FFC Turbine Potsdam (agg: 4-2)The holders twice came from behind to set up a 22 May final against Tyresö FF in Lisbon. Holders VfL Wolfsburg believe the biggest crowd of the UEFA Women's Champions League season will be help them pip 1. FFC Turbine Potsdam to the final. 1. FFC Turbine Potsdam captain Stefanie Draws and VfL Wolfsburg forward Alexandra Popp gave their thoughts to UEFA.com after the goalless first leg of their UEFA Women’s Champions League semi-final tie. "Everything is still possible," said 1. FFC Turbine Potsdam coach Bernd Schröder after a 0-0 first-leg draw with VfL Wolfsburg, who view it as a "dangerous result". 1. FFC Turbine Potsdam 0-0 VfL WolfsburgThe all-German semi-final is finely poised ahead of next Sunday's second leg following a tight affair at the Karl-Liebknecht-Stadion. While German rivals 1. FFC Turbine Potsdam and VfL Wolfsburg wish they were meeting in a final rather than semi, both teams agree an exciting tie is in prospect. The semi-finals begin on Saturday and you can watch the highlights of how 1. FFC Turbine Potsdam, VfL Wolfsburg, Birmingham City LFC and Tyresö FF made the last four. The 1. FFC Turbine Potsdam v VfL Wolfsburg semi-final will be the ninth one-nation tie in UEFA women's competition – and the fifth involving German clubs. Opponents 1. FFC Turbine Potsdam and VfL Wolfsburg showed good form ahead of next Saturday's semi-final, while Birmingham City LFC survived a scare and Tyresö FF lost. The semi-final dates are set with 1. FFC Turbine Potsdam welcoming VfL Wolfsburg and Birmingham City LFC hosting Tyresö FF on 19 April, and both returns eight days later. 1. FFC Turbine Potsdam’s Tabea Kemme and Lia Wälti said that making the semi-finals of the UEFA Women’s Champions League was “special”, while ASD Torres CF were pleased with an improved display in the second leg against the German club. 1. FFC Turbine Potsdam's Bernd Schröder deemed his side's second-leg victory "OK", instead reserving praise for ASD Torres CF, who bowed out with their pride intact. 1. FFC Turbine Potsdam 4-1 ASD Torres CF (agg: 12-1)Ada Hegerberg weighed in with two goals from the bench as the German outfit set up a semi-final showdown with VfL Wolfsburg. 1. FFC Turbine Potsdam coach Bernd Schröder admitted that he “didn’t expect” the margin of his team’s UEFA Women’s Champions League victory against ASD Torres CF to be as clear as it was after they won 8-0 in the quarter-final first leg, while Torres’ Manuela Teese remained pleased at achieving the club’s aim of the last-eight. Bernd Schröder felt the 8-0 scoreline flattered his 1. FFC Turbine Potsdam side after they made light work of crestfallen ASD Torres CF in their quarter-final opener in Italy. ASD Torres CF 0-8 1. FFC Turbine PotsdamThe visitors all but secured their place in the last four after posting an emphatic victory in this quarter-final opener. The quarter-finals begin on Sunday with VfL Wolfsburg hosting FC Barcelona among three first legs before Birmingham City LFC meet Arsenal LFC on Monday. The quarter-finals begin on Sunday with holders VfL Wolfsburg hosting FC Barcelona among three first legs before Monday's all-English tie between Birmingham City LFC and Arsenal LFC. ASD Torres CF striker Patrizia Panico urged her team-mates to "enjoy the moment" when they face two-time champions 1. FFC Turbine Potsdam for a place in the semis. Scorer of the penalty that knocked out Olympique Lyonnais, 1. FFC Turbine Potsdam's Maren Mjelde previews their tie with ASD Torres CF and recalls her Gerland glory. The eight quarter-finalists have confirmed their squad for the ties over the next fortnight with Arsenal LFC responsible for ten of the 30 new players registered for the round. 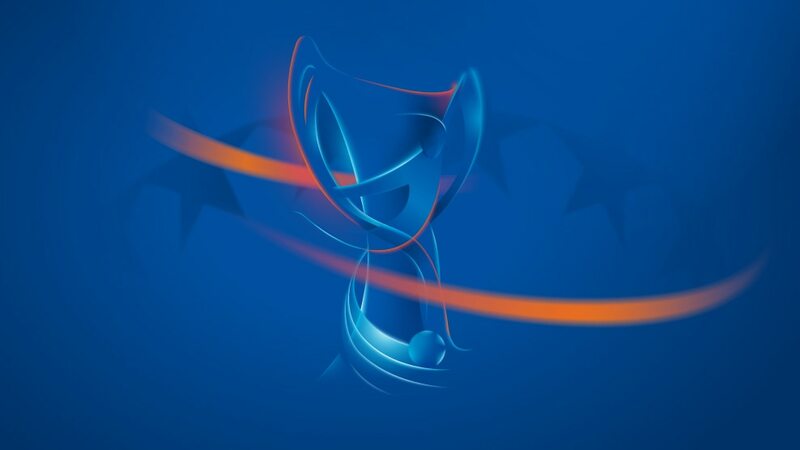 The quarter-finals approaching fast and UEFA.com catches up with the teams, four of them in the midst of league fixtures, one on winter break and three in close season. The schedule has been confirmed for the quarter-finals to be played between 23 and 30 March as the road to the 22 May final at Lisbon's Estádio do Restelo resumes. "If one of the best teams in the world makes you an offer, you cannot say no," said Iceland goalkeeper Gudbjörg Gunnarsdóttir after agreeing to sign for 1. FFC Turbine Potsdam. “Something special” was how Stefanie Draws described FFC Turbine Potsdam’s away goals victory over Olympique Lyonnais, with her coach Bernd Schröder equally delighted with his team’s progression to the quarter-finals of the UEFA Women’s Champions League. Camille Abily and Patrice Lair also gave their reaction to UEFA.com. Stefanie Draws said 1. FFC Turbine Potsdam were "just happy" to oust Olympique Lyonnais, whose Camille Abily knows "it will hurt" to watch the rest of the competition on TV.